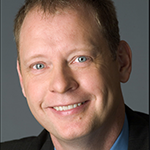 Peter Olsen is Executive Vice President, Ad Sales, A+E Networks. In this role, Mr. Olsen oversees Ad Sales, Advanced Targeting Teams and Content Partnerships across the company’s portfolio of linear and non-linear brands. He was promoted to this role in October 2014. Previously Mr. Olsen served both as Senior Vice President and then Executive Vice President, Ad Sales, HISTORY/H2, also held similar role on A&E & Bio. He joined A+E Networks in 2005. Prior to this, Mr. Olsen served at Mediacom as EVP/Director of National Broadcast. He was named National Media Buyer of the Year by Ad Age’s Television Week in 2003. His prior experiences include sales positions at WSBK-TV Boston and within the Sports division at NBC. Peter graduated with a B.S. degree in Industrial Engineering from the University of Massachusetts. A+E Networks®, LLC. is an award-winning, global media content company offering consumers a diverse communications environment ranging from television networks to websites, DVDs, gaming, watch apps and educational software. A+E Networks is comprised of A&E®, Lifetime®, History®, LMN®, FYI™, H2™, A+E Studios™, History en Espaňol™, Crime & Investigation Network™, Military History™, Lifetime Real Women®, A&E IndieFilms®, A+E Networks International®, A+E Networks Digital® and A+E Networks Consumer Products™. A+E Networks channels and branded programming reach more than 350 million households in over 160 countries. A+E Networks, LLC. is a joint venture of Disney-ABC Television Group and Hearst Corporation.